Hello, I hope you've all had a lovely Christmas. 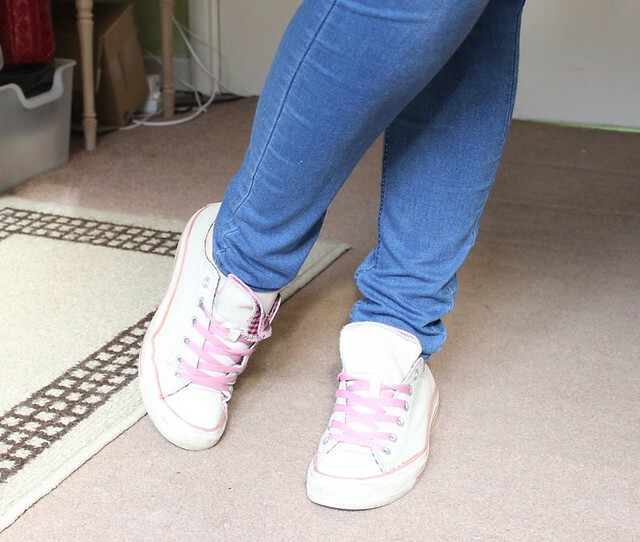 I've not been too good with posting on here lately but starting in the new year I want to get back into it properly so I thought it would be a good idea to get some feedback from you about my blog. I've created a little survey which you can take here. Thank you and I'll see you in 2015. This year will be the first Christmas in my own little flat which means I now need to buy some decorations for the place. I just bought a Christmas tree last week and I can't wait to put it up and start making my flat look all festive. 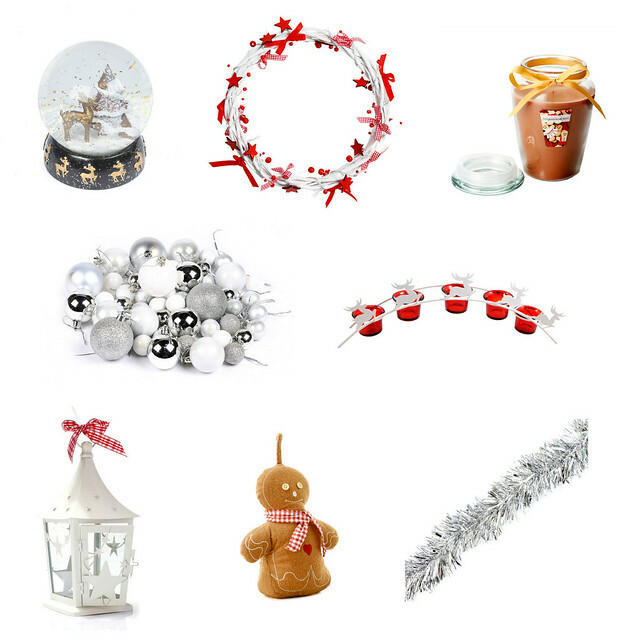 Todays wishlist is all about decorations and I've selected some from Dunelm which I'd like to get. Have you started putting up your decorations yet? 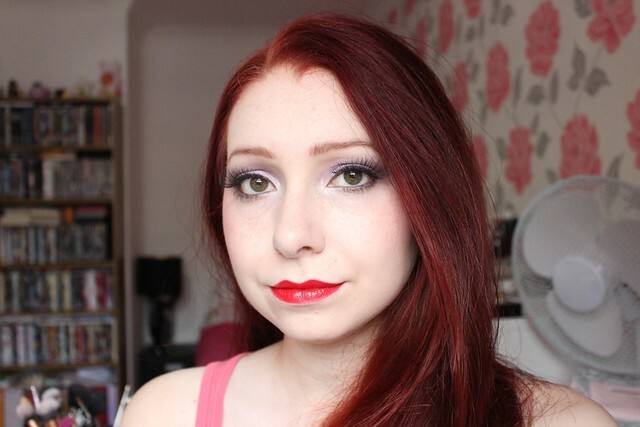 After a month of not blogging I'm finally back! It's been a hectic time as I've been moving into my new flat and sorting everything out for that. I had to manage without internet for a while at first which was crazy as I can't live without it but it's all sorted now. 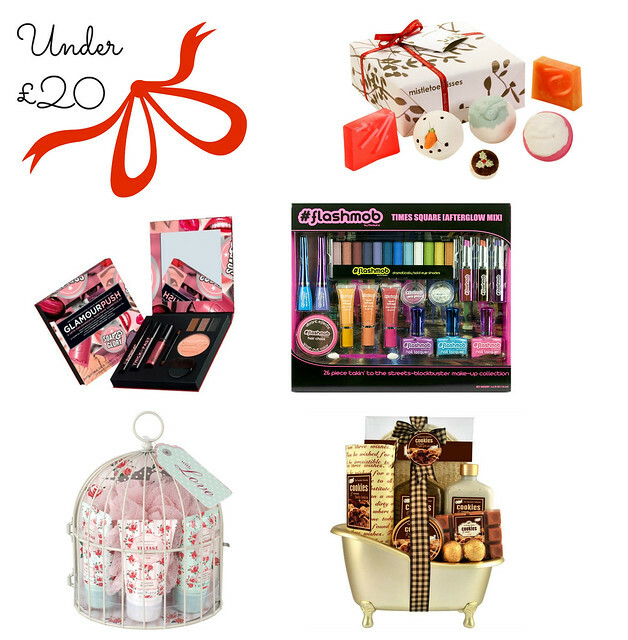 Anyway on to today's post, to get myself back into blogging I thought I'd start with a Christmas gift guide and I'll probably do a few of these but today is all about beauty products. 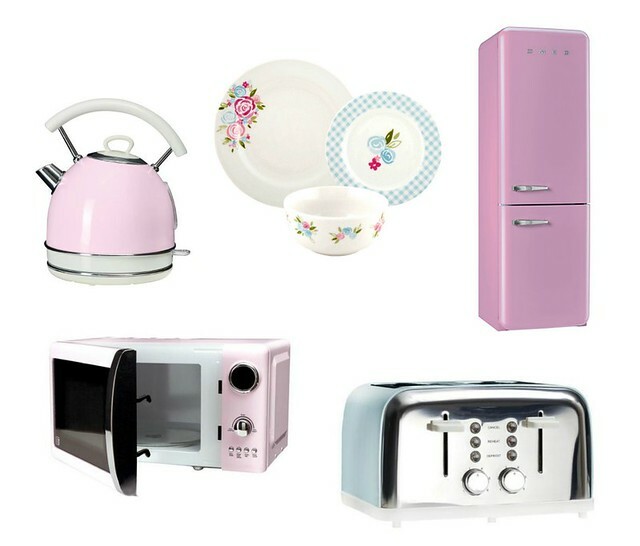 As I now have my own flat I need to buy lots of new things for it so over the next few weeks I'm going to do some home themed wishlists and today is for the kitchen. In my kitchen I want to go for the pastel colour theme, I probably won't be able to do it properly at the moment as I haven't got much money but it's what I'm working towards. Hopefully one day I'll be able to afford the pink fridge. If you visit my blog regularly then you may have noticed I've been lacking in posts lately so I thought I'd give you a little update on why. First of all, at the beginning of October I got a new job and I'm working late nights so this has left me really tired throughout the day and I haven't felt like blogging, I'm hoping I'll get used to the hours soon though. Also, I wasn't feeling too well last week which is why I didn't do many Halloween makeup looks but next year I'm going to try to plan in advance as Halloween is one of my favourite holidays. I wanted to get more posts up this week but I'm going to look at a flat tomorrow and there's a big possibility that I may be taking it and moving out of my parents house (finally!) so that's going to be another disruption to look forward to. I'll do my best to get some posts up but I can't promise anything. Also, it was my blogs first birthday on 15th October which I completely forgot about it and I wanted to do a little giveaway for that so as soon as I decide what to giveaway I will put up a post on that. I've wanted a Tangle Teezer for a while but just haven't got round to buying one yet and they have so many colour choices, I think I might go for this purple one though. I've been eyeing this cosmetic bag for ages but I'm just not sure if I can justify spending £15 on a makeup bag when I have quite a few already. I really love the design of this one though. I don't own any Zoeva so can't say how good they are but I've seen lots of good reviews on them and now that they've come out with these pink sets I want them so bad! 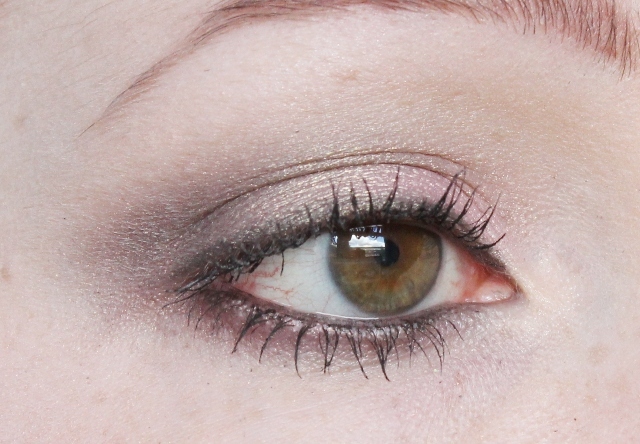 Todays makeup look I've actually worn twice already this week as I really like it. 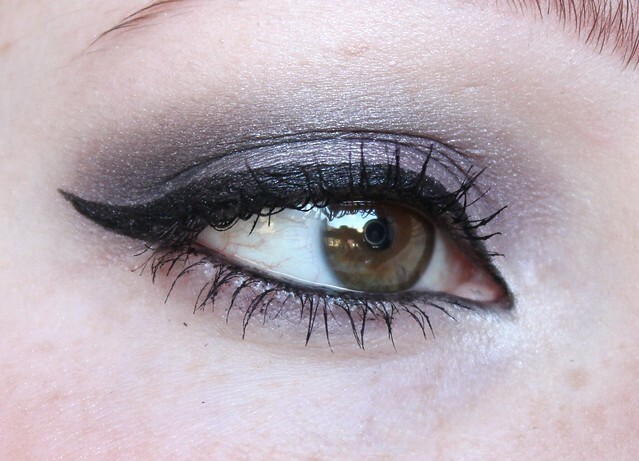 It's very quick and easy to do but looks lovely. 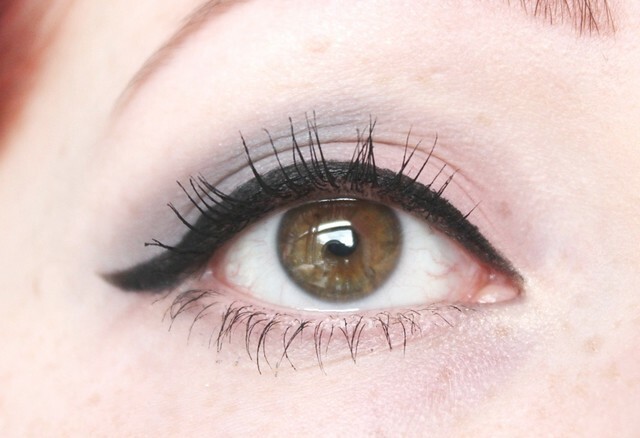 Mascara is probably one of my favourite makeup products as it can instantly make your eyes look bigger and better. 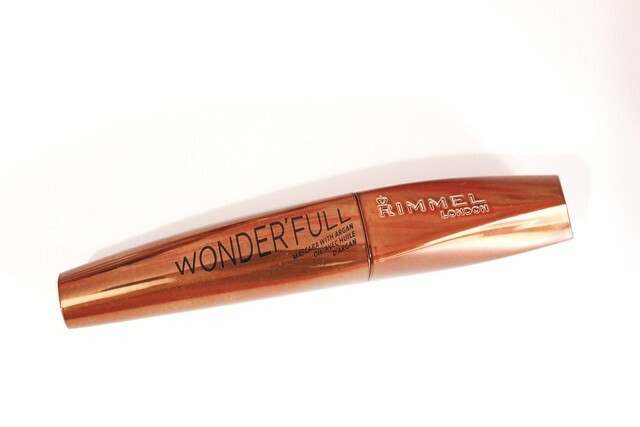 I saw the Rimmel Wonder'full Mascara in Superdrug and thought I'd give it a try as I've seen it mentioned on some blogs lately and I love trying new mascaras. I'm not entirely sure what colour the tube is, maybe a coppery colour, other than that it's a pretty basic mascara tube. The wand is kinda fat with plastic bristles which I actually prefer to the normal bristle wands. 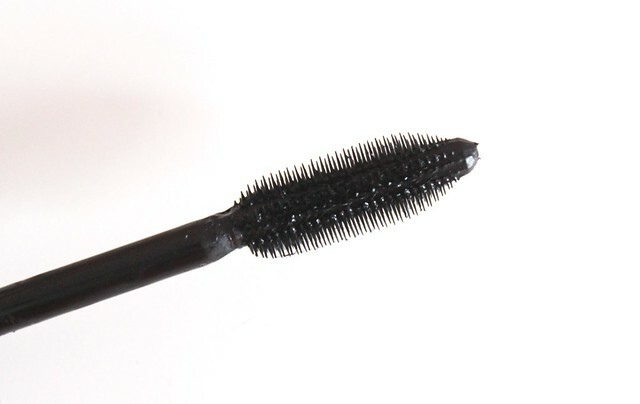 I found the mascara really easy to apply and I think it coated everyone of my lashes, even the little ones. The mascara didn't clump at all and it separated my lashes wonderfully. I applied 2 coats of mascara for the above effect. As you can see it really lengthens the lashes. 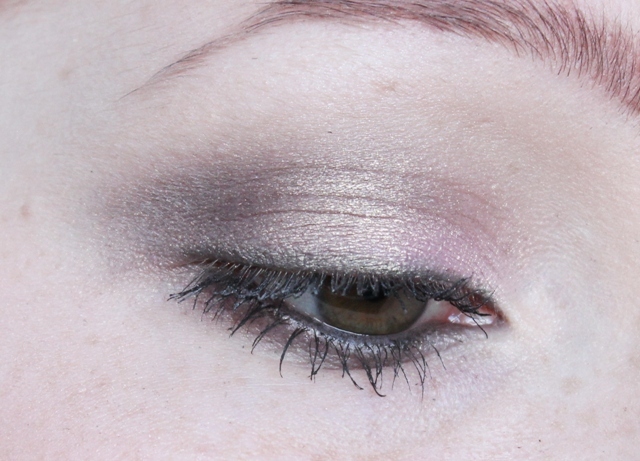 It doesn't thicken the lashes as much as I'd like but maybe with a few more coats that would help. 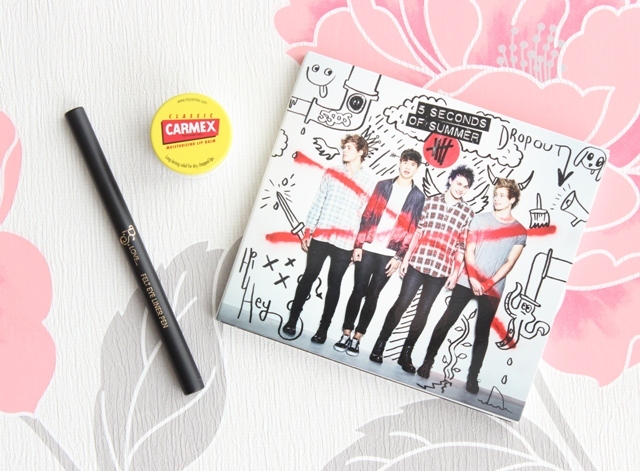 You can buy this for £7.99 from Superdrug. 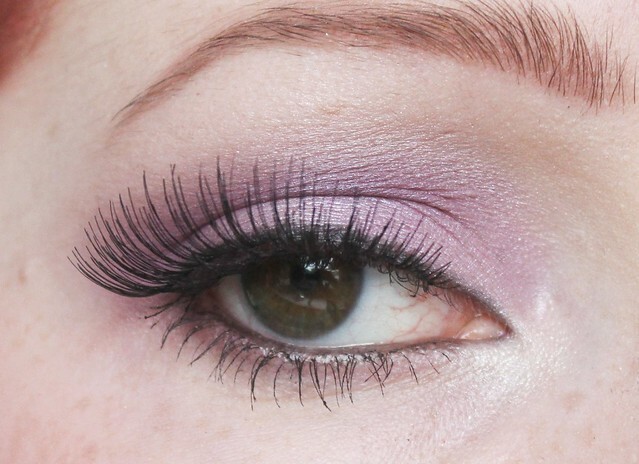 It's a good mascara and perfect if you want to lengthen your lashes. I'll probably wear this day to day but it's not my favourite at the moment. Have you tried this mascara? Let me know what you think of it? Halloween's nearly here, one of my favourite holidays. 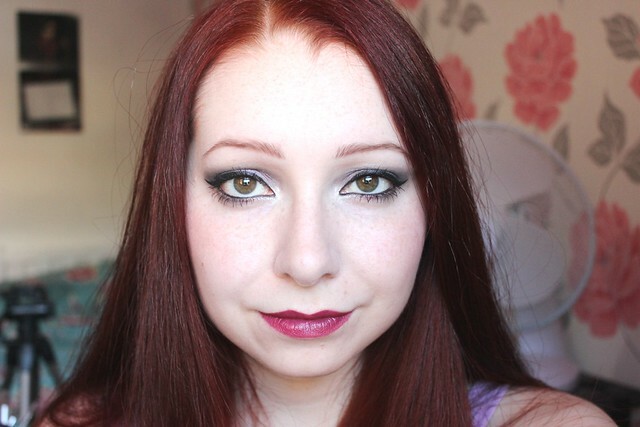 This year I wanted to do some Halloween looks for you so first up is a Jessica Rabbit look. I actually went as Jessica Rabbit to a party about 4 years ago, I love the look and thought I'd do it again. 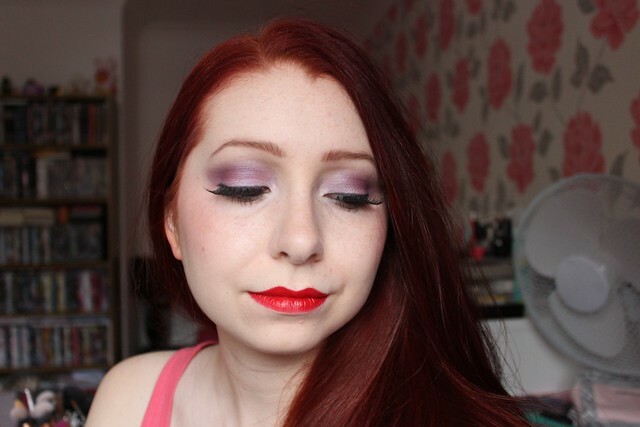 The makeup is quite easy really as she just wears some purple eyeshadow with red lips. 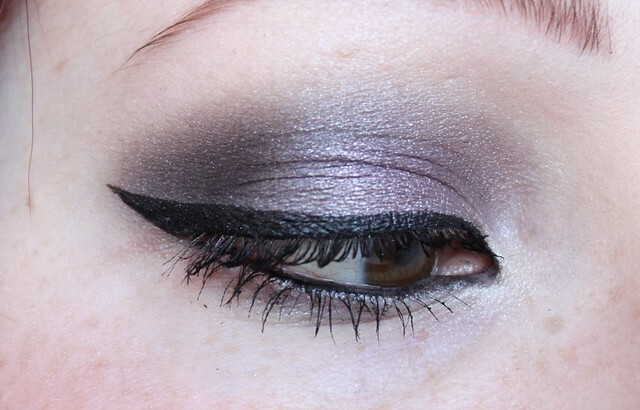 Here's the look I created and you can find the products I used at the end of this post. Unfortunately the dress I used for this look doesn't fit me at the moment so I can't show you it on. All you need though is a red dress (you can find some here, here and here), a pair of red shoes (you can find some here and here) and some purple gloves (you can find some here and here). This is the first Sleek blusher I've bought apart from the one that's included in my Face Form Palette. I saw this in the shop and thought the colour was really lovely. 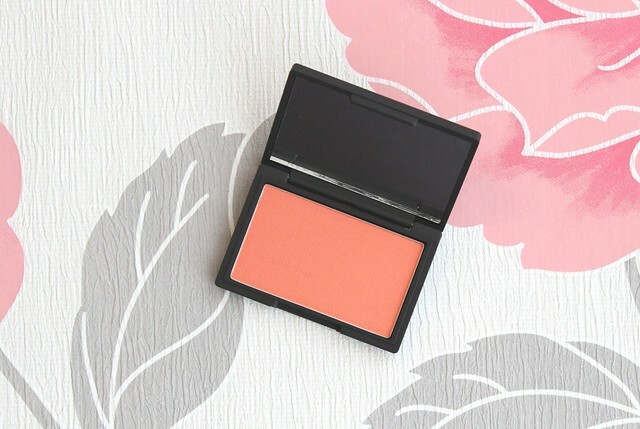 Like the name suggests, the blusher is a peach shade but quite a vibrant peach. The packaging is very plain, just black with Sleek's logo on the top but I quite like it. There's a mirror included in the lid which is quite a decent size so will be handy for on the go. The blusher looks quite bright in the packaging but when it's applied it comes out more muted and you can build it up for a more intense colour. 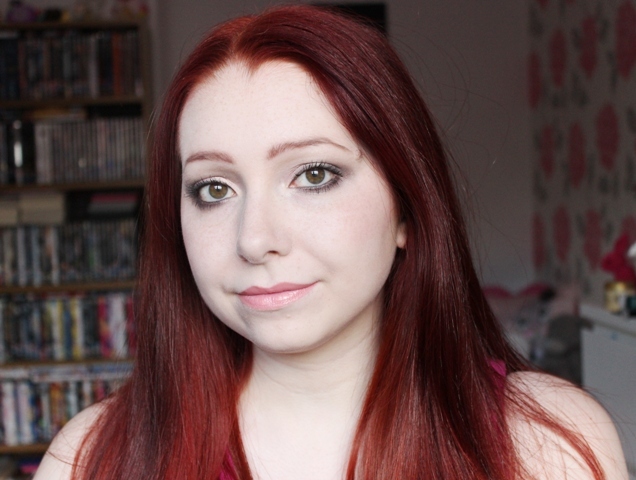 I used a blusher brush to apply this and it blended out really nicely on my skin. 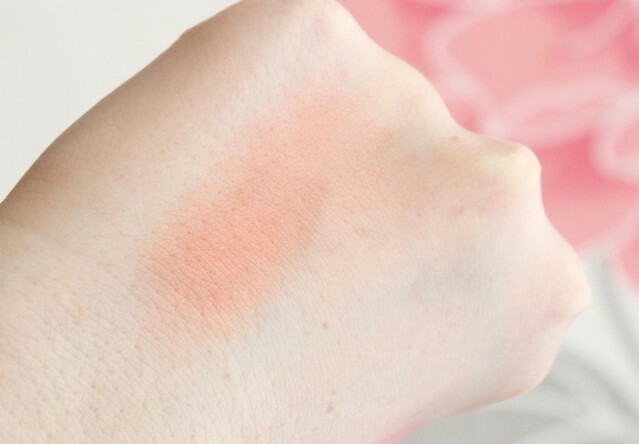 The blusher has a matte finish on the skin. The wear time is really good as it lasted on my cheeks pretty much the whole day. Although I find blushers stay on my skin quite well anyway. You can buy this for £4.49 from Superdrug. I think this is a really lovely blusher and I'm sure I'll be buying more blushers from Sleek in the future. What do you think of the Sleek blushers? 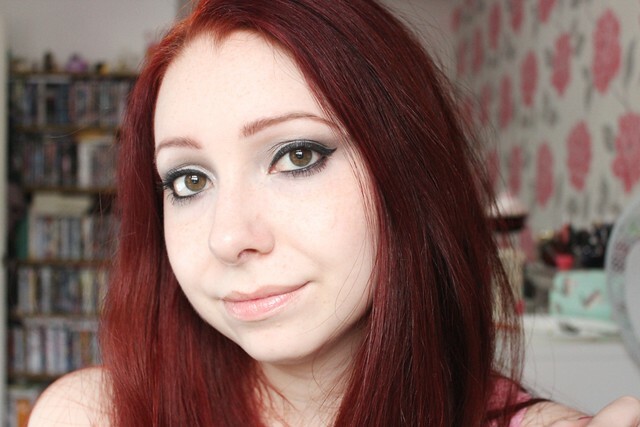 I've bought quite a few makeup products from Superdrug lately, I just can't resist buying makeup. The bulk of my haul is Makeup Revolution so we'll start with that. 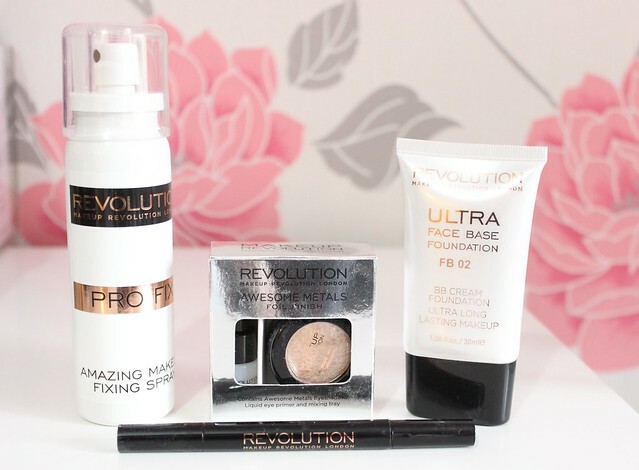 I bought their Awesome Eye Foil in Rose Gold for £5, Ultra Face Base Foundation in FB02 for £3, Awesome Double Flick Liquid Eyeliner for £3.50 and Pro Fix Amazing Makeup Fixing Spray for £5. 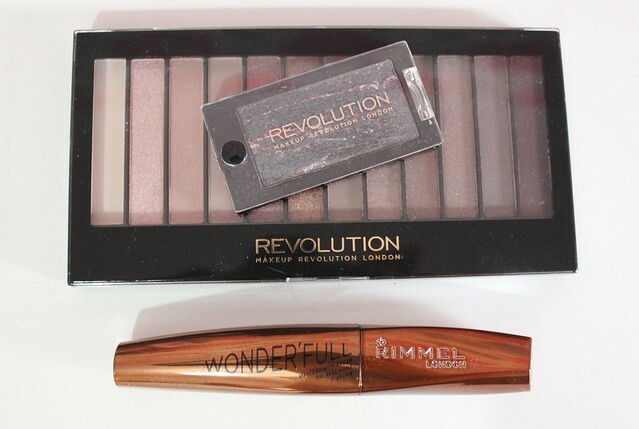 Also from Makeup Revolution I got their Baked Merged Eyeshadow in Moon Dust for £1.50 and Redemption Palette Iconic 3 for £4. Then I got Rimmel's Wonder'full Mascara for £7.99. I can't wait to try these products out, have you tried any of these yourself? I've only tried a few products from Bellapierre but they've all been really good. 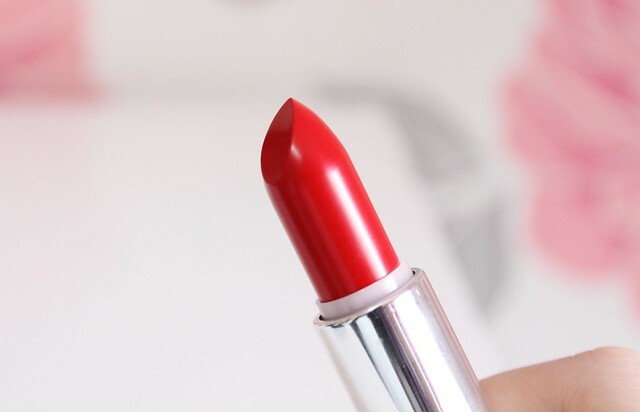 In a recent Glossybox I received a Bellapierre lipstick in the shade Ruby which is a gorgeous bright red. The packaging is quite sleek with some criss-cross detailing on two sides of the tube. The lid clicks into place very securely so it won't be falling off. I applied this to my lips straight from the tube and it went on really smoothly. 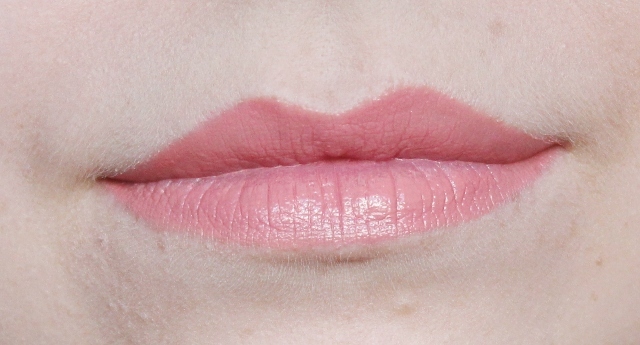 The product is quite opaque and only needs one coat to cover the lips. Normally I'd apply this with a brush so I can get a much crisper line which I think you need with bright colours like this. Sometimes I find it difficult to tell the finish of some lipsticks but I'd say this one has a bit of a sheen finish to it as it's not completely matte. The wear time is pretty good as it lasted at least 5-6 hours without needing to be re-applied. 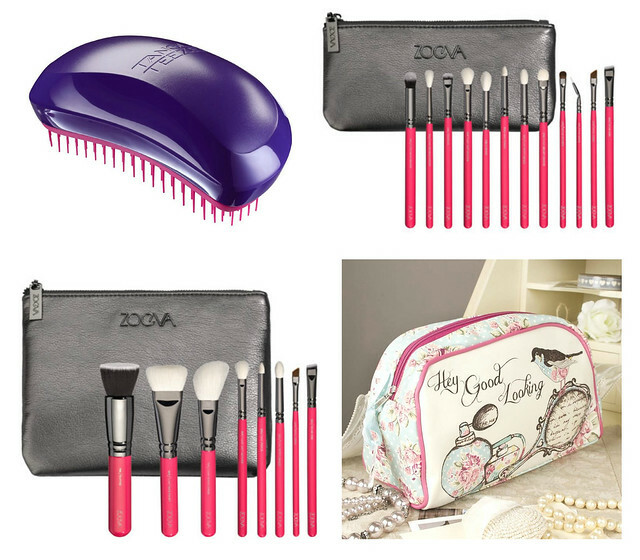 You can buy this directly from the Bellapierre site for £20 but you can actually get it for just £9.50 at Lookfantastic. 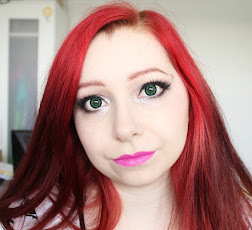 I'm really impressed with this lipstick and I love the colour so I'm planning to wear it a lot this fall. 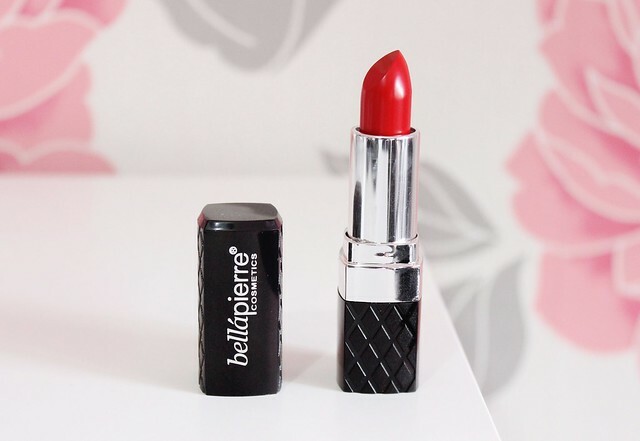 Have you tried any lipsticks from Bellapierre? 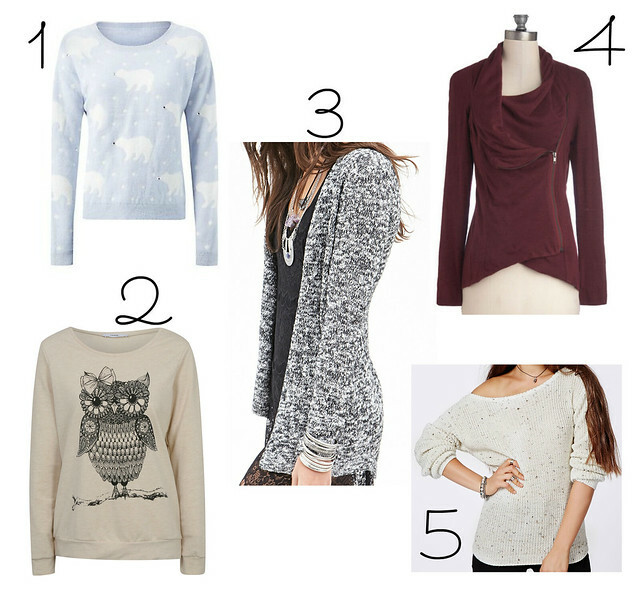 This weeks wishlist is all about knitwear as it's gradually getting colder here in the UK. I've actually had to start wearing a jumper/cardigan some days the past couple of weeks so here's a few that I've got my eye on. 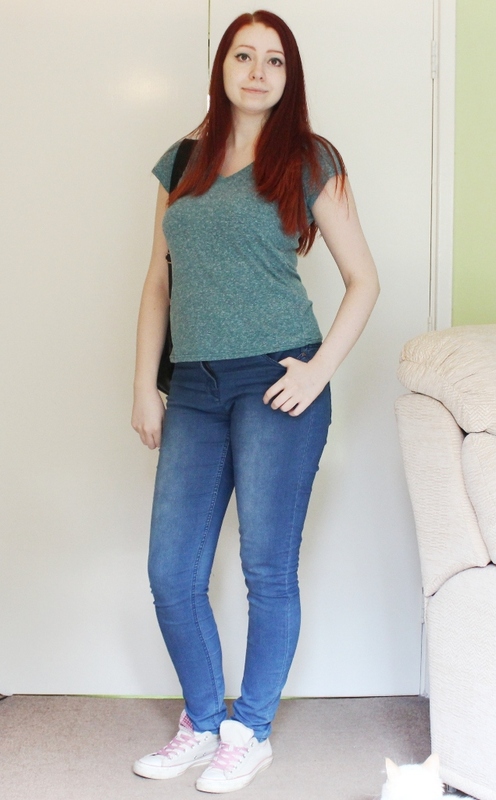 Today's outfit is rather casual and comfy with some plain denim jeans and a t-shirt. I actually bought this t-shirt the other day and I thought it was going to be a bit looser than this. I probably should have bought the next size up but I still like it. 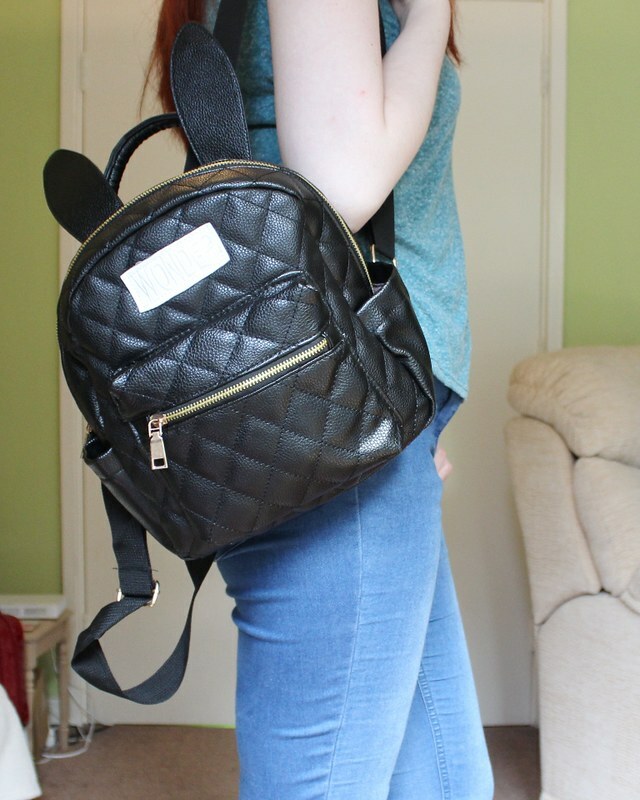 I've also got on a new bag which has bunny ears, so cute! My new design is here. Woo!! I've gone for quite a simple look as I haven't learnt enough about web design yet to do anything too fancy. I wanted the main colour to be raspberry so I've used that throughout the design and header. I've also added new links in my menu for Beauty, Fashion and Lifestyle so you can just view posts related to each category. Let me know what you think of the new design and I'll be back to regular blogging from Friday. I've wanted to change my blog design for a while so the last few months I've been working on a new design. It hasn't been easy and I've changed my mind about a million times but I've finally got something I'm happy with. 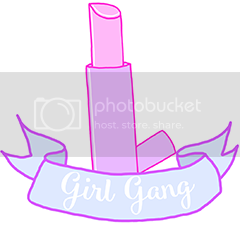 I'm probably going to take my blog down while I install the new design so if you pop on over and can't see anything that's why. I'm hoping it won't take me too long to install and then my new design will be live and I can get back on track with blogging regularly. I'm planning to do this sometime this week, hopefully earlier rather than later but I've just got a new job and I will be working late nights so I'll have to see how it goes. I missed doing the last couple of months favourites but I'm back with my September favourites. This has got to be one of the best pen liner's that I've used so far and I have used this so much the past couple of months. 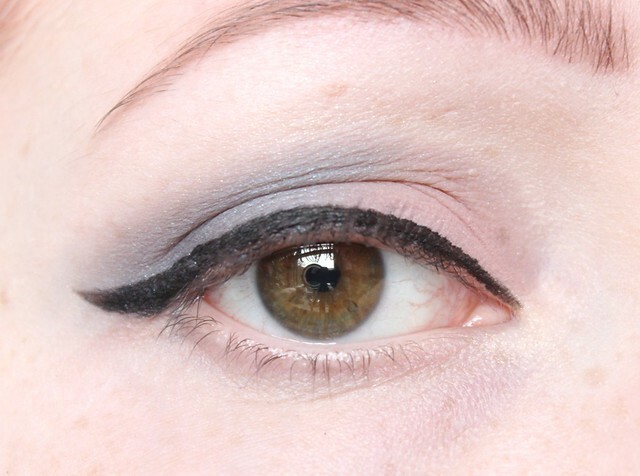 Pretty much every time I've used liner I've gone for this one. It's got quite a small nib and it applies really smoothly so it's easy to do a thin line or build it up for a thicker line. I received this in a Glossybox a few months back and since I finished my Vaseline pot I've been using it everyday for the past month. I actually prefer this to Vaseline as I find it's more moisturising on my lips. Since I bought this album last month I have been listening to it pretty much non stop. I love every song on the album especially Don't Stop, Voodoo Doll and English Love Affair. I'm so glad I bought this colour corrector. I've been using it everyday under my eyes and it really helps with my dark circles. 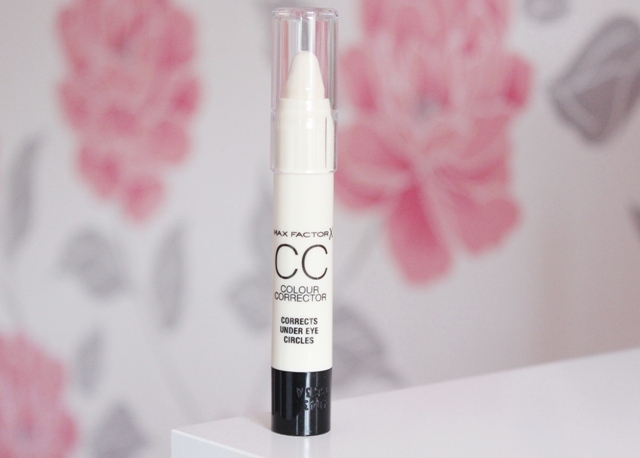 It lightens the area so my dark circles are less noticeable and then my concealer covers them so much better. My new kitty has got to be a favourite this month and every month since I got him. 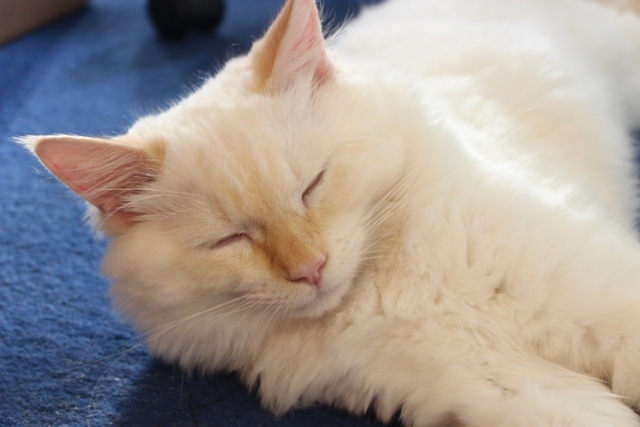 I'm so happy I was able to get him as I've wanted a Ragdoll for so long. He's just the cutest and fluffiest kitty ever. 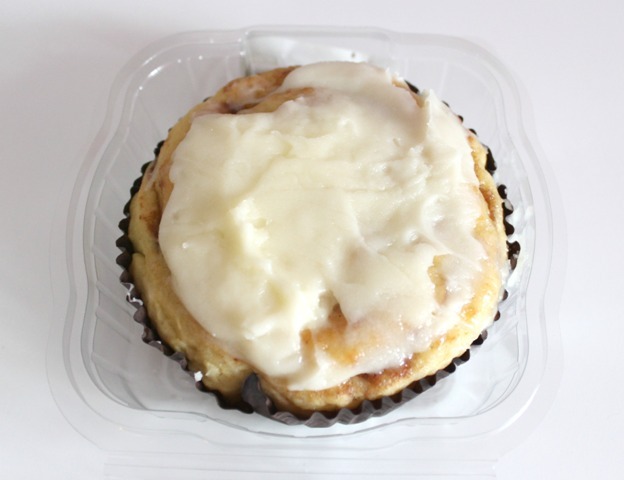 I never really liked cinnamon buns before but my mum bought one a few weeks ago so I had a bite and now I'm obsessed. They are so delicious and I've probably had about 6 in the last few weeks. I could just eat them all the time. 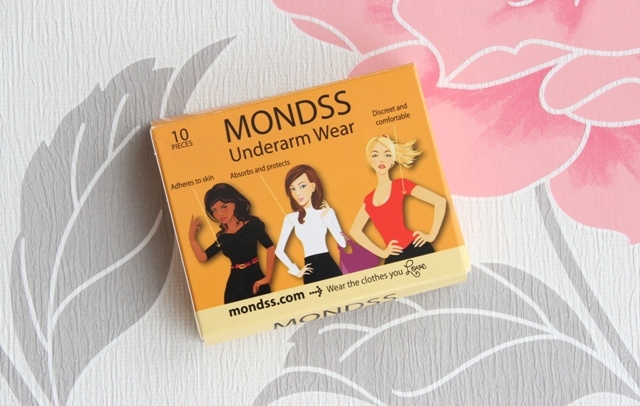 I was recently contacted by a company called MONDSS asking if I'd like to try out their product Underarm Wear*. I'd never heard of this company before but was quite interested to see what this Underarm Wear was like. It's a natural, discreet and secure solution to underarm perspiration. It adheres to your skin, absorbs and prevents perspiration marks from getting on your clothes, locks in odour and is comfortable to wear. 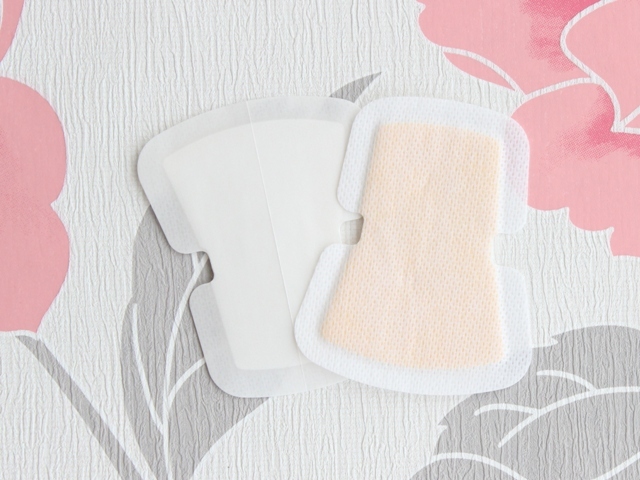 The Underarm Wear is a self-adhesive which applies directly to the skin, it's a breathable and hygienic disposable product. The product comes in an orange box which contains 10 pieces of Underarm Wear. One box costs €9.99 and postage is €1.60 to Ireland and €2.50 to everywhere else. The actual product looks a bit like a giant plaster but is shaped to fit under your arm. The first time I applied this I had a bit of difficulty and ended up throwing it away as it lost it's stickiness so you really need to get it in the right position first time. The box contains instructions so definitely follow them until you've got the hang of it. The product felt a bit weird at first but it wasn't uncomfortable and after a while I just got used to it and kind of forget it was there. It really works though and I'm quite impressed. I actually wore this to a job interview on Saturday and I'm so glad I did as I had major anxiety and was sweating like crazy but the Underarm Wear kept me dry and there were no sweat patches on my clothes. They aren't too difficult to remove either as you just peel them off like plasters. It's not something I'd wear everyday but great for warm days, interviews, special occasions and any time you don't want perspiration marks on your clothes. Tonight I'm going out for dinner for my younger sisters birthday, I can't believe she's 17 today. I'm not sure where we are going yet but here's the makeup that I'm wearing. 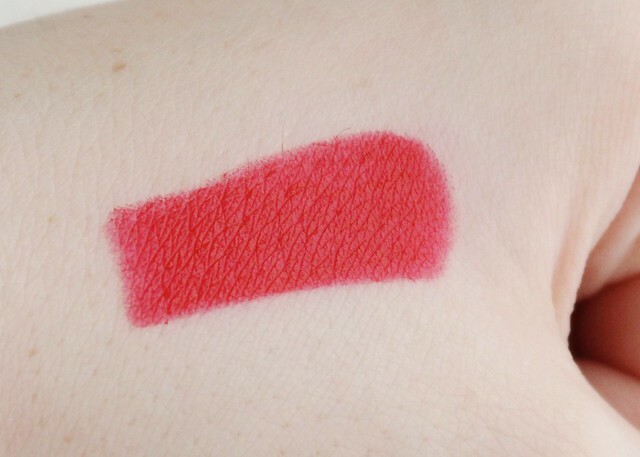 Makeup Revolution Blush in Now!